A.I. experts across industry, academia and government have long called on the Trump administration to make the development of artificial intelligence a major priority. Last spring, worried that the United States was not keeping pace with China and other countries, Jim Mattis, then the defense secretary, sent a memo to the White House imploring the president to create a national strategy on A.I. Now, Mr. Trump is about to take that step, though this “American A.I. Initiative” may not be as bold as some had hoped. The executive order aims to better educate workers in the field, improve access to the cloud computing services and data needed to build A.I. systems, and promote cooperation with foreign powers, a senior administration official said on a conference call with reporters on Sunday. But the order does not set aside funds for A.I. research and development, and the administration provided few details on how it will put its new policies into effect. The United States is engaged in an increasingly bitter trade war with China. And while American companies like Google and Amazon are now leaders in the field, A.I. experts are concerned that China could surpass the United States in the development of technologies that will power surveillance systems and autonomous weapons as well as driverless cars and a wide range of internet services. Last year, these concerns increased when Google pulled out of a project to build A.I for the Pentagon after employees protested that the technology they were working on could be used for lethal purposes. Companies like Google are also expanding their operations in countries like China, France and Canada, as the A.I. talent in those countries continues to expand. In its briefing with reporters, the administration said it would increase efforts to educate American workers in the field. 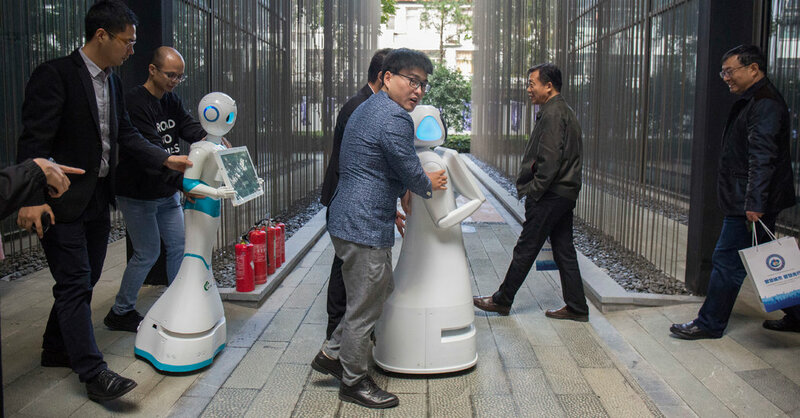 It plans to work with the National Council for the American Worker to create educational efforts through industry and academia, and it will call on government agencies to develop fellowships related to A.I. But the senior official did not provide specifics on how the United States will track the progress of these efforts. Missing for 30 years, but could this soldier be alive? September 10, 2018 Comments Off on Missing for 30 years, but could this soldier be alive?